Okay, so maybe you've read up a bit about stink bugs and the way they eat. Maybe you know nothing about these insects at all other than the fact that they're swarming through your house. Either way, you're concerned that they're going to take a chomp right out of your finger, and understandably so! Keep reading to find out whether or not these bugs can actually bite you or your pets. Do Stink Bugs Have Teeth? Chances are that unless you're an entomologist, you've never seen an insect up close and personal. Not every insect has the same type of mouth, which is why the term "mouthparts" is used. It's a way to identify the sort of setup a distinct insect has, and how it intakes its food. The mouthparts of a stinkbug are largely regarded to be like a needle. This "needle" pierces into the skin of the fruit or vegetable and extracts nutrients, sucking them upwards. Stink bugs tends to favor foods with a hard outer layer that they can puncture with their mouthparts, almost like a syringe. Brown marmorated stink bugs (the kind you'll see swarming through your house to seek shelter during the winter) don't, actually, have any teeth! A different species of stink bug (adult tree stink bugs) are brown in color and appear similar to the brown marmorated stink bug, and these DO have teeth. However, there are two reasons not to fret about this. 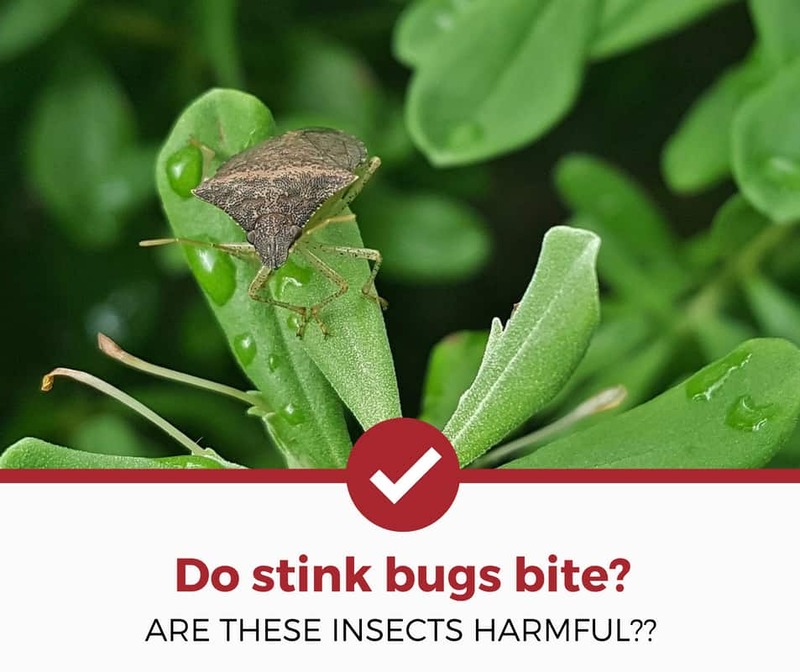 Based on this finding alone, it's safe to say that no, stink bugs can't bite! It's natural to wonder whether to be concerned about a stink bug sting...especially with what you now know about their mouthparts! Will they try to make you or your pet their newest lunch snack?! Guess what? Stink bugs are herbivores—they subsist wholly on a plant-based diet. This is confirmed by Dr. Jorge Parada of the National Pest Management Association in the video below. This means that they'll never use their specialized pin-prick stingers on humans or animals. They won't ever "sting" you, your kids, or your pets, so you never have to worry about any bodily harm coming from a stink bug! Stink bugs are virtually harmless insects to humans and animals. Their only line of defense is their classic "stink," which they release when they feel threatened (or during the process of death). They won't bite, they won't sting with their mouthparts, and they won't cause any physical pain to you and yours. They're annoying and unsettling, but not dangerous by any stretch. Curious about other stink bug guides? Check out our other detailed guides to help you deal with your pest problems.